A new type of magnifying reading glasses has been developed by Dr. Jeffrey Sonsino, founder of the Center for Sight Enhancement at the Vanderbilt Eye Institute to benefit those with macular degeneration and other low vision conditions. As one's macular degeneration progresses there is a need for more magnification and more light. 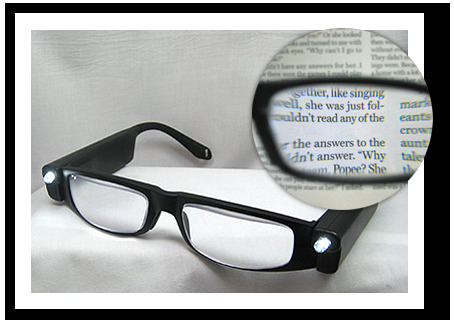 These special reading glasses combine the technology of concentrated lighting, magnification, and prism correction to offer a hands free reading aid. New glasses for macular degeneration called, Low Vision Readers, have been developed by Dr. Jeffrey Sonsino, founder of the Center for Sight Enhancement at the Vanderbilt Eye Institute. 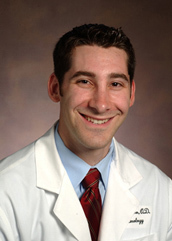 He has worked with hundreds of patients with low vision. 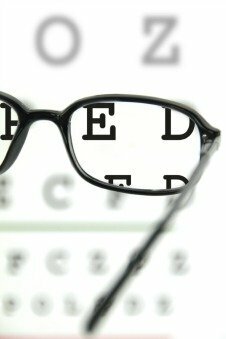 Low vision is defined as those with 20/60 vision that cannot be corrected with prescription glasses or surgery. Not only will people with macular degeneration benefit from these glasses, so will those with other low vision conditions like glaucoma, diabetic retinopathy, Stargardt's and congenital nystagmus. Dr. Jeffrey Sonsino shares with us how these glasses work and who can benefit from them. 1. Tell us about yourself, your credentials and your practice. I am an assistant professor at the Vanderbilt Eye Institute and the founder of Vanderbilt’s Center for Sight Enhancement. This is a specialized clinic that addresses the visual functioning of those with vision impairments from conditions such as macular degeneration. In addition to my clinical work, I am involved with low vision device creation and have currently authored nine patents. I hold leadership positions within the American Optometric Association, American Academy of Optometry, Academic Medical Center Optometrists, lecture internationally, and have authored multiple papers. 2. What prompted you to develop the Low Vision Readers? The Low Vision Readers came out of my frustration with the lack of lighting available for my low vision patients. Sources of light are a dime a dozen, but actually getting a patient to use external lighting is a serious problem. Lighting needs to be simple and hand’s free. Patients do not want to fumble with anything that makes a task more complex. The Low Vision Readers have no on/off switch to manipulate. As soon as the temples open, the light turns on. 3. How do the Low Vision Readers work and how are they different from other magnifying reading glasses? prism (to reduce eye fatigue that goes along with the higher magnification). Cheap competitors do not have the light output or magnification required to be a true tool for reading. Every detail of the Low Vision Readers was engineered with the patient with low vision in mind. 4. What activities besides reading can the LVR be used for?? Many of my patients are able to read with the Low Vision Readers, which includes writing checks, paying bills, and crossword puzzles. 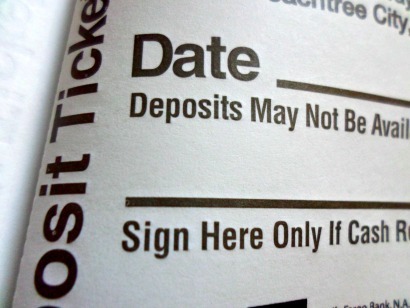 Those with very poor vision to start may not be able to read text. However, they find that they are useful for knitting, gardening, looking at pictures of the grandkids, birthday cards, etc. 5. Who would benefit from these reading glasses? Candidates include those with macular degeneration, glaucoma, inherited retinal diseases, and congenital nystagmus. We have found the best results with those with visual acuity in the better- seeing eye between 20/50-20/100. Those with acuities of 20/100-20/160 may see benefit, but not with reading small text. 6. Is a prescription needed before ordering the glasses? Why or why not? By asking you a few simple questions on the phone (your diagnosis, visual acuity and current glasses’ spectacle prescription), they can tell you if the Low Vision Readers will likely work for you and if custom lenses are required. Most patients do not need custom lenses. 7. What is the approximate charge for the glasses and are they covered by insurance? What is the return policy? Standard Power Low Vision Readers cost less than a typical pair of regular progressive bifocals. We have found that the standard power is perfect for around 80% of patients. For those who need customization, custom lenses are available. Low Vision Readers’ optometrists can determine if custom lenses are required for you. If you are not completely satisfied, the glasses can be returned for a refund within 30 days of purchase. 8. For those who are interested, how and where does one obtain the Low Vision Readers? The Low Vision Readers are available anywhere in North America by calling 888-509-0910 or by contacting the company on its website Low Vision Readers for more information. Low Vision Readers are much easier to use than many other reading aids and relatively inexpensive, actually more affordable than a standard set of bifocals. LVR has a rechargeable battery which will last around 7 hours between charges. The light used in the first prototype was not as strong as they wanted, so a second prototype was developed with a brighter light. This newer version was used in a clinical trial with some astounding results. The study compared reading speed and a reading activity index - the standardized way of determining if the glasses benefit people.